I really enjoyed interviewing The Next World Medium, Carolyn Clapper, in this latest interview. She talks about some of her experiences after her near-death experience which opened up her abilities as a medical medium, evidential medium, and psychic. Currently, she works to find missing persons and works with doctors on occasion. Be sure to check out some of the amazing testimonials on her website. I’m excited to share a recent YouTube interview with Nancy Rynes. We talked about near-death experiences, healing, and the importance of spreading love and creating community. I am pleased to share three recent interviews with great hosts. Lee Witting, the wonderful host of NDE Radio on Talkzone Radio, interviewed me today and asked me to read some poetry at the end of the show. That was a delight. Here is another interview which you can access on the YouTube channel Beyond Astrology with Heather. It is fascinating to learn how a near-death experience can be found in one’s astrological chart. Check out this interview for more information about the connection between astrology and near-death experiences. Lisa Jones, the Millionaire Medium, who runs a beautiful podcast called Exploring Death interviewed me recently. I have been busy teaching, and obviously busy conducting a few interviews. It was a pleasure to meet each of these wonderful people. Catch up with interviews with near-death experiencers, researchers, and healers when you have the time. Much love to everyone! This IANDS Conference in Bellevue, Washington was a beautiful experience. I was so happy to meet Ingrid Honkala for the first time and hear about the beautiful light beings who so obviously guide her through life. I was blessed by the wisdom that Robert Kopecky shared with me in this video interview and look forward to reading his book How to Get to Heaven. And, it was great fun to talk with Chris Batts, a newcomer to IANDS conferences whose mission is to remind everyone that they are loved by God. Peter Panagore and I talked with him about his angel guides and lessons from his near-death experience. Wouldn’t it be great if the Information Age became an age of greater enlightenment, love, and healing? I am moved by stories like the Same Kind of Different as Me— stories where people grow spiritually and contribute deeply to the lives of others. It is a wonderful experience to see how love and knowledge can alter another’s path in beneficial ways. If everyone accessed their POWER to make a difference in this world, the world would be transformed quickly. But, as things are, there are layers upon layers of fear, misinformation, sullenness, codependency, addictions, lack of community, and distrust. Fear and and anxiety is growing in younger populations at epidemic rates. One study found that one in three children meet the criteria for an anxiety disorder. I don’t blame these young people for feeling anxious. Children and teens see clearer what is obvious–things look like they are a mess. Too many of us are are disconnected from nature, disconnected from one another, and disconnected from direct access to The Source which is as free to us as the sunlight is free. No one need ever be cut off from this unconditional love and freedom. How many people feel great love and gratitude for each breath that they take? Several times throughout the day I am deeply grateful to be alive. Even when my heart is breaking, when grief is raging through me like a waterfall and I am drowning—I reach for that next breath and find the solution. No amount of love is ever lost or ever forgotten. Personally, I enjoy taking time to sit under a tree for hours. There is much release that happens simply by doing nothing outdoors or exercising and playing outdoors. I think our ancestors would be shocked and disappointed in us for losing touch with something so basic. We need nature. We are nature. We are not electronic or robotic. When a person becomes cut off from his or her natural self, he or she can no longer see the truth—only images, delusions, and the mind’s paltry manifestations that dance into broken realities. Nothing is needed but water, air, substance, and the flow of the divine love which washes away anxiety, fear, stagnation, and depression in others and in the self. You are light beings. You are vibration. You are incredibly sensitive and worthy of good, safe lives. And, when you know that you have light in your soul and a connection, you must turn on the lights in the places of darkness, not to your own detriment but in the places and the ways that you can. You can always do more than you think you can do, and you can find that power in the divine. I didn’t think I had the bravery to make one video on a public format like YouTube, and two years later I have connected with so many beautiful souls who have told me their stories and journeys near God. I have faced criticism and bullying (apparently women are bullied at high rates on social media), but I have also met far more people who have offered their wisdom and joy to me. I have connected with people who enjoy my channel. The channel exists free of charge and ads, simply to add some light (knowledge, love, insight, wisdom, peace, or healing) into the world. A genuine wish for the inner freedom, happiness, bliss, peace and joy of all living beings is one of the freest and easiest things to give. Why not wish that for every soul you encounter? Do that as a practice, and then add actions to it and the world will change. Beautiful ideas can be released into the world with ease like butterflies finally emerging and flying delicately in the sky. Take good care of the goodness and beauty in this world. Take good care of the goodness and beauty inside of you. 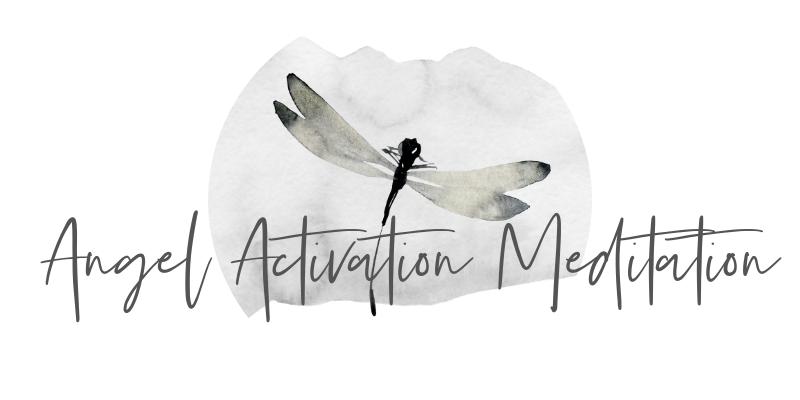 Opening to Your Intuition with Daniel and Sylvie Giroux 3-hour interactive workshop held in Zoom) Limited to 10 participants. September 30th and October 7th from 3-4:30 p.m. CDT $49.99. Most people believe intuition is an ability they need to reach or invite into themselves. But in reality, intuition is a skill we already own. It is an innate ability which we use constantly without being aware, or having full awareness of the skill, or even the proper definition to illustrate to ourselves how easy and commonplace this already works inside of us. Intuition is a language. For the most part we are adept at conversation with people, and we already understand the subtle clues within words and sentences of speech. Plus, we pay attention to bodily clues, voice intonation, voice volume, etc. Learning the language of intuition is the same principle, we must learn to pay attention to clues and also learn the language. Intuition employs every aspect of the human experience. Especially what we see, hear, know, and feel. One thing which spirituality brings to us all, is we go on a journey of what is happening inside of who we are. Intuition is never wrong, where we encounter difficulties is interpretation, and this requires a lot of practice. The information you receive is always valid and serves a purpose. Through a series of exercises, coaching, and guidance along the way, we will put you in touch with your very own intuitive self. Daniel and Sylvie Giroux are energy workers who also offer spiritual guidance and intuition training. Daniel had an NDE in 1994 and is now devoting his life to spirituality. Sylvie worked in the mental health field before embarking on her spiritual calling and is also now trained in holistic nutrition. The couple is in the process of establishing and opening the Rosewood Wellness Center where individuals can come and experience unconditional love.